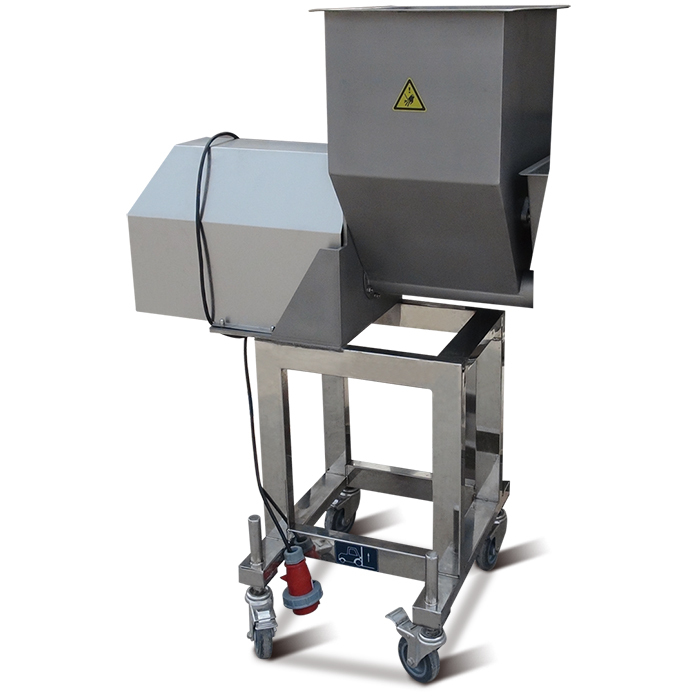 By the turning of the tumbling box, Drum Breader GFJ600 - IV can coat the products with even layer of the coating flour; increase the quantity of the flour on the products surface. Special sifting design can separate the coarse grain of the flour during the production. The easy-open screw pump feeding method can be easily cleaned. Can be directly connected to the preduster, no other belt needed. 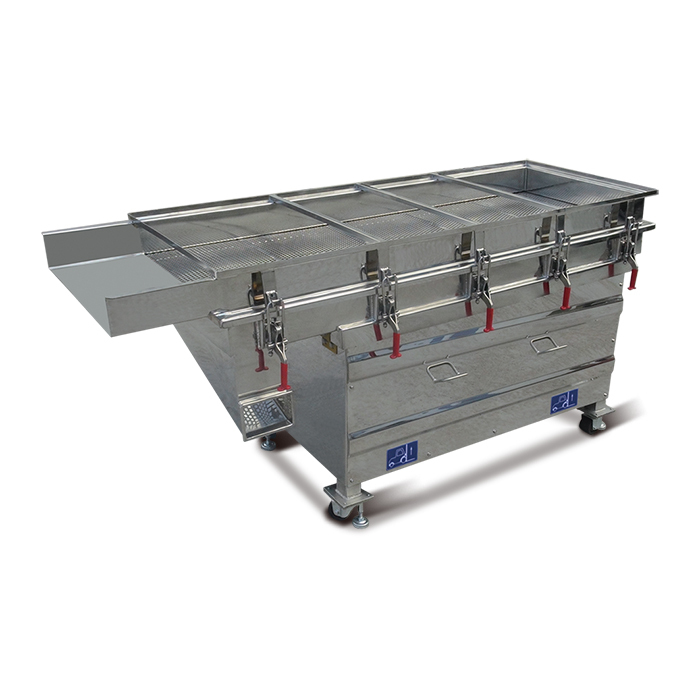 The whole machine is made of stainless steel, meet the HACCP standard. Powder supplying machine, Vibrating belt, Vibrating hopper (Optional equipment). By the turning of the tumbling box, Drum Breader Machine GFJ600 - IV can coat the products with even layer of the coating flour; increase the quantity of the flour on the products surface. It causes the obvious scaly food surface. It is used for the massive products flouring and breading processing. Such as chicken nuggets, Popcorn Chicken, fish nuggets etc. 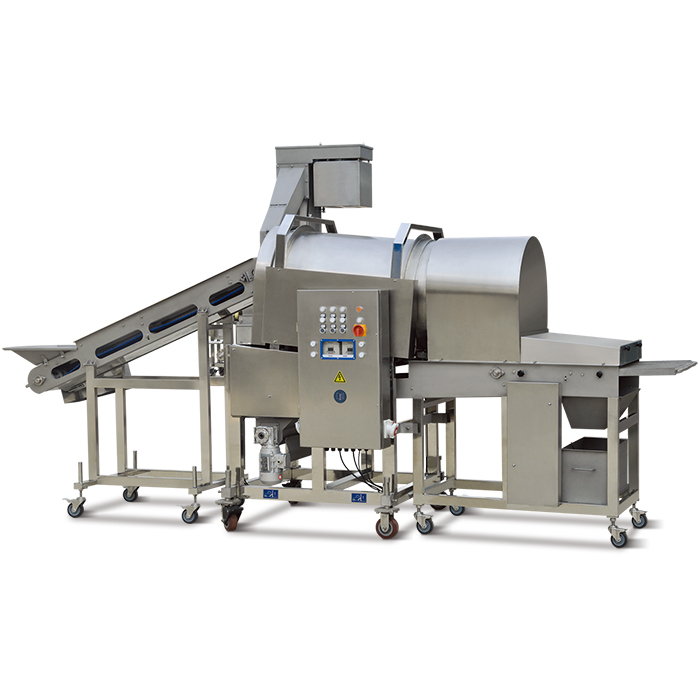 The marinated meat can be put in the drum breader lift conveyor evenly. Stainless steel made, safe and reliable, in conformity with the standard of HACCP. 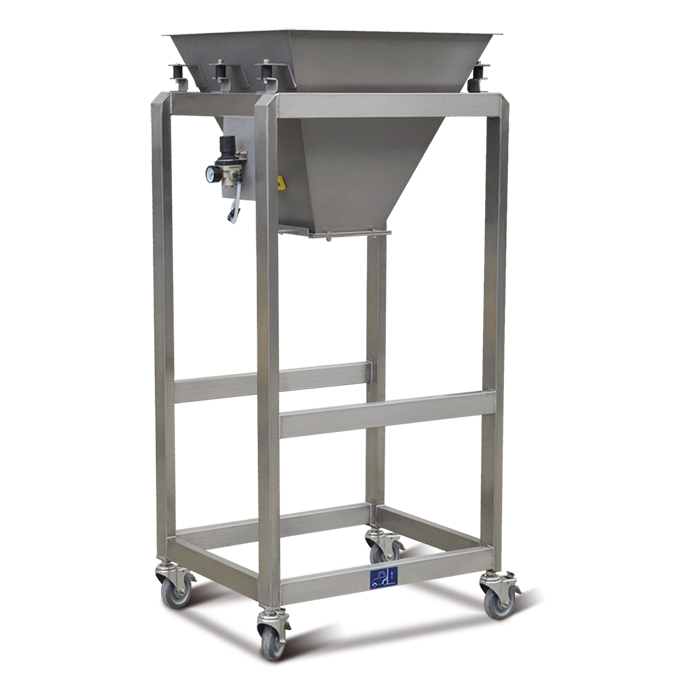 Can be connected with drum breader, and supplying powder to drum breader evenly. The excess powder of the products can be vibrated by vibrating screen, in order to avoid the waste transfer to the next procedure. Thereby avoiding the excessive oxidation of oil, and extending its service life. Stainless steel made and portion non-metal material, in conformity with the standard of HACCP, brushed guard plate used.